While studying abroad in Europe, I was lucky enough to be able to backpack through nine cities while on Spring Break. My friend Ricky and I had never been to Europe before and were on a pretty strict budget after a semester in Edinburgh. Unfortunately for us, the trip resulted in a few, somewhat ignominious, money-saving tactics. But our follies are your benefit, as three weeks of non-stop travel has allowed me to hone down on some money-saving tricks for the budget-conscious traveler. I’ve always loved the idea of packing a bag, getting on a train and beginning a trip with no real agenda. As exciting as that would be, however, it comes down to a simple matter of finance. No plan = higher prices. Showing up at a random hostel or hotel and hoping for the best could not only mean hiked up prices but also the potential of not having a place to stay. Train and plane tickets are also more expensive the closer to the day you want to travel. Instead of taking a chance on an available bus seat, plan out the skeleton of your trip: accommodation and transportation from city to city. You can still leave the day-to-day activities up to spontaneity if you want to travel without a plan. Another way you can save money by planning out your trip in advance is through cheap accommodation options. Personally, I’ve had a lot of success with Couch Surfing. While I wouldn’t recommend it to someone traveling solo, but with a friend or two it’s a fantastic way to save some cash and get a local’s perspective on a city. Again, Couch Surfing requires a little bit of legwork before you leave. Do your homework and research on the person or people you’re thinking about staying with. Finding other students or people around your age is a good start; then check their references. The last thing you want to do is put yourself in an unsafe situation. There are great people out there looking to host travelers, so find someone you’re comfortable with and enjoy a unique experience! Now that you’ve done all the work of planning out your trip, make every possible effort to stick to it. If you’ve booked a train ticket from Geneva to Montpellier, make sure you catch the right bus that’s going to get you to the train station on time. If you miss your train, you’re going to lose the cash you spent on your ticket, and could also end up paying part or all of the money you’d be spending at your hostel. Hostels typically ask for a non-refundable down-payment at the time of booking. You’ll be kicking yourself if you have to throw that money away, and then spend more on a last-minute hotel room because you missed your train. 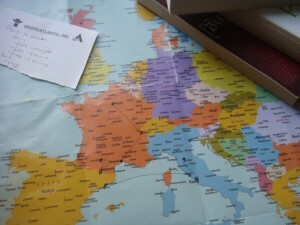 When making your itinerary, do a little research into the activities you want to do in each city. More often than not you can plan your trip so that you’re put in cities offering free events. 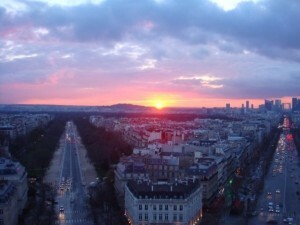 For example, most museums in Paris offer free entry on the first Sunday of every month. If it doesn’t matter to you what day you arrive in Paris, why not plan to be there on a day that museums are free? Other cities may offer discounts on weekdays for certain events or during the day when there’s typically less public interest in what they have to offer. To do this, it helps to be traveling with someone that is like-minded. When Ricky and I set out on our trip, we had the same money-saving mentality. We decided to splurge on one nice meal in each city we visited. The rest of the time carried around what we endearingly called the “Bag of Life”: a shopping bag full of bread, a jar of peanut butter, and a spoon with which to make sandwiches (we couldn’t find a knife). This was what we ate for the majority of our trip to save on food expenses. We also decided on one or two big things we wanted to see in each city before taking off. Prior to leaving, Ricky and I knew prior we would not be spending money to go on a gondola ride or a tour of the Coliseum. We were there, we saw it, and that was enough for us. We did, however, spend the money to visit the Louvre, and to take a picture in a photo booth at Gare de L’Est, since we’re big fans of Amelie. If you’re traveling with a friend, it helps to discuss what you want to make a priority before you leave. Trust me, tensions can get a little high when you’re alone with the same person for three weeks. Having arguments over whether or not to spend on a ticket to the Guinness Storehouse tour won’t help. Talking it out will also ensure you don’t miss the attractions you really want to see. The internet and travel guides are a great resource for finding out what to see, but nothing beats local opinion. Even if you don’t try couch surfing or another hosting program, ask some locals what they’d do if they only had one day in their city. You’d be surprised how many hole-in-the-wall restaurants, clubs, and even museums and parks you’ll find by asking, and the tourist traps that should be avoided. On a local Parisian’s advice, we skipped going to the top of the Eiffel Tower and instead headed to the top of the Arc de Triomphe. It was cheaper, offered amazing views of the city (especially at sunset), and is something fewer people have done on a trip to Paris. If you’re a little shy or can’t get past a language barrier, look for a tourist office. Most cities have one or several locations and will give you free maps, information on transportation and what to see, and tell you about seasonal fairs and festivals. Many offices can also give you information on free walking tours such as in Dublin and Barcelona. These tours are a great way to get an overview of an unfamiliar city and then find your way back to what you’re interested in exploring further. If you have a student ID, shamelessly ask for student discounts everywhere you go, even at bars and clubs. You’d be surprised how many places will give you a discount. Nothing will annoy you more than skipping out on parasailing in the Mediterranean to save money than having your purse or wallet stolen and losing it anyway. On our grand Tour D’Europe, I fell victim to this in Barcelona. After a long walk around the city, I sat down on a bench and put my purse next to me. When I got up to leave, it was gone. Luckily I only lost some cash, but when living off of peanut butter sandwiches for three weeks, losing $80 for no reason really gets you down. 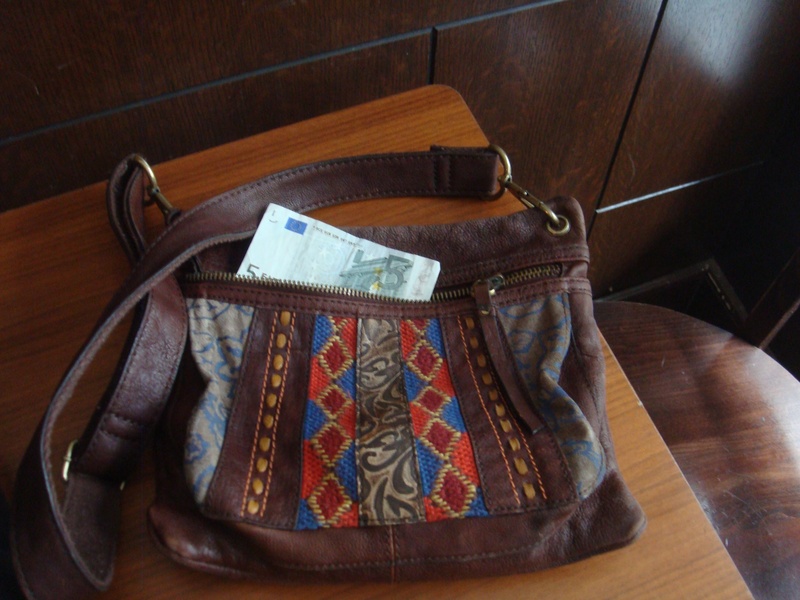 Pick pockets can be crafty and aggressive, but there are a lot of more subtle ways you can get robbed while traveling. Beware of those you’re sharing a room with you at your hostel, falling asleep on a bus or train, and people trying to give you back incorrect change. Group rooms at hostels (some holding up to 30 people) are much cheaper than private rooms (and are a great way to save some cash), but if you choose to stay in a group room, make sure your hostel has a safe you can use. Some will have free safes for each guest located in the room, others will allow you to rent one or keep your valuables in behind the concierge desk. Whatever the case may be, be certain your extra cash, passport, and valuables are protected while you’re sleeping. 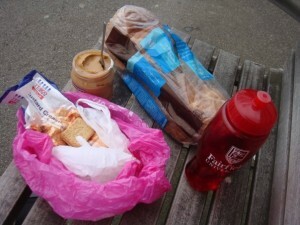 …you may not have to live off of peanut butter sandwiches or sleep in a train station to afford your backpacking trip. Keeping these tips in mind, I commission you to go forth and explore the world and, if you’re lucky, come home with a couple bucks in your pocket. yo folks i cannot wait 4 the expendables to come out! It’s going to be awesome!